The Stevens® 320 Security Pump Action Shotgun features a proven rotary bolt design and dual slide bars for quick, no-hassle chambering and ejection. Plus, it's equipped with a bead sight for improved accuracy. 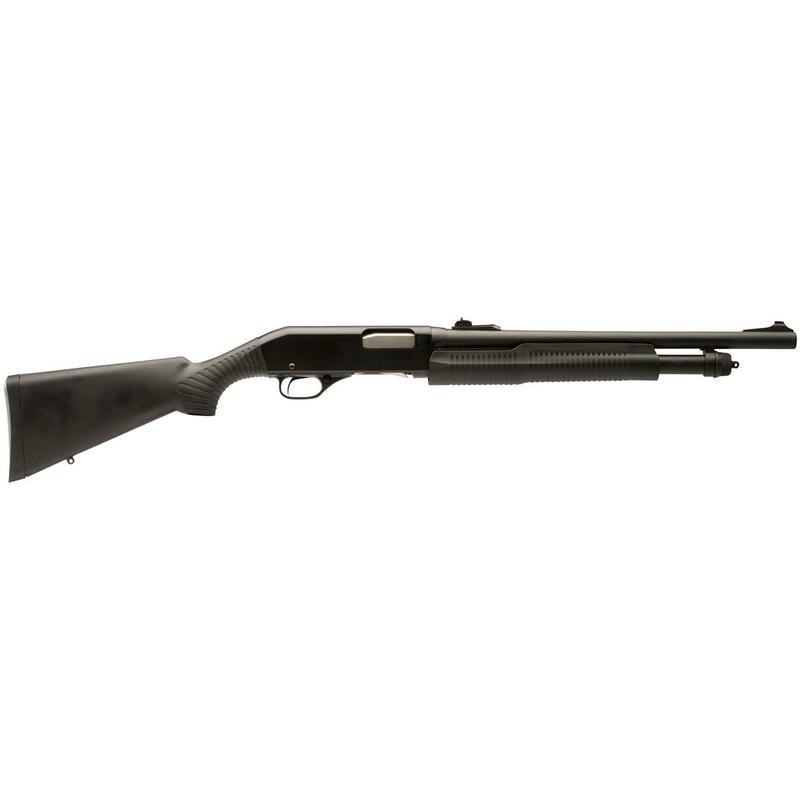 Its flawless balance and natural pointing qualities make the Stevens 320 Security Pump Action 12-gauge Shotgun an excellent choice whether you're adding another firearm to your collection or looking for your kid's first shotgun. Stevens 320 Security, Pump Action, 12 Gauge, 18.5 Barrel, 5+1 Rounds is rated 4.8 out of 5 by 5. Rated 4 out of 5 by MtnTroll from Great Price Good Shotgun... Affordable Price! Rated 5 out of 5 by MrChigBut from Terrific Shotgun As a former law enforcement officer, I purchased this shotgun for home defense.I was very impressed with the quality of this shotgun, I recommend it to anyonewanting a very durable and easy handling shotgun. Dickinson Commando XX3B-2, Pump Action, 12 Gauge, 18.5"